"Welcome To Planet Rump" drops TOMORROW! 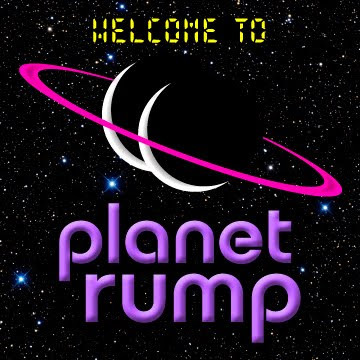 We are so excited about the release of our baby, our first ever professionally mixed and mastered tracks, our debut EP: “Welcome To Planet Rump”! This EP has been in the works for years… writing, performing, perfecting, recording, etc… truly a work of passion and love from the bottoms of our hearts and souls. Starting at midnight tonight, you can listen to the tracks on BandCamp, download the EP for free, and easily share the link or embed the player on your Facebook, Twitter, blog, whatever! The EP will be free for a limited time as a thank you to our fans, so get yours tomorrow! All we ask in return is for you to pass it on! Tell a friend, tell 100 friends! If you need the “real thing,” we’ll have the CDs for sale at our next show: September 7 at the Eclectic Collective. More details on that to-be epic night coming soon! Save the date and celebrate with us! Until then, enjoy the music, and let us know what you think by commenting here or hitting us up at planetrumpfunk[AT]gmail.com. DJs: holler if you wanna reeemiiix!